Basic Information: What is Hairburst? 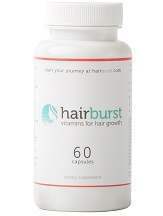 This is the review for Hairburst which is basically vitamins for the growth of hair. Hairburst uses completely natural elements to nurture your hair, providing them with all of the essential nutrients from within. It makes your hair grow longer and stronger. It prevents hair breakage and has an additional benefit of making your skin glow. Selenium, Zinc, Hyaluronic acid, calcium and folic acid: These substances are good for the health of hair. Biotin, MSM (methyl sulfonyl methane), Collagen, BCAA’s & Silica: These substances play a vital role in the growth of hair. Advanced B vitamins complex & Vitamin A, C & D: These vitamins are very essential for keeping your hair healthy and in a perfect condition.Hairburst does not contain anything artificial which might have harmful effect on your body. It does not contain any artificial flavors, artificial colors, etc. Hairburst is suitable for both men and women. Anyone who is older than the age of 12 years can use it. It is recommended to take two capsules of Hairburst with the first meal in the morning, every day. One month supply of Hairburst is available for $38.72. A two month’s supply is available at a discounted price of $97.59 instead of its previous price of $109.99. A 6 month’s supply is available for $185.90. However, if you subscribe now, for a whole year, you will get Hairburst for $30.97 every month with a discount of 20 percent. I have been using Hairburst for 3 months now. Not only my hair is thicker, shinier and longer now but also my hair fall issue has resolved. I started noticing changes after 2 weeks. After 1 month, my hair had grown about an inch. By the end of second month, not only my hair had grown another inch but my hair also looked thicker and lustrous. Initially the change was very drastic but now the rate of my hair growth has slowed down. For long term effects, you need to use it for 3 months at least. Hairburst has changed my life and I am sure it will change yours too. You must consult a doctor first, if you are pregnant or a nursing mother. This also applies to anyone who is already on some prescription medicines or has a diagnosed medical disorder. Although Hairburst is made from hundred percent natural components, if you think any of its ingredient does not suit you, then you must seek a doctor’s advice. Moreover, Hairburst is not a cure for baldness. The manufacturers of Hairburst do not offer any guarantee which raises some concerns about it. However, customer reviews about this product are very positive and show customers’ satisfaction with this product. Hairburst is a great product because it uses 10% natural ingredients and shows quick results. However it is a bit pricey and does not offer any guarantee. Hairburst providers also charge you for shipping but the results it provides are worth the price.